Доносите информацию быстрее с помощью изображений и видео! 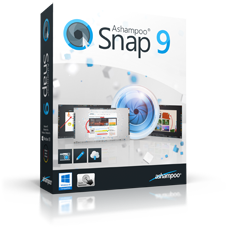 Ashampoo Snap 8 был доступен бесплатно 11 декабря 2016 г.
Изображения и видео доносят информацию быстрее, более лично и более сжато, чем текст. Используйте Ashampoo Snap 8, чтобы создавать изображения и видео, которые точно передают смысл, который Вы пытаетесь донести! Создавайте собственные видео-руководства и с лёгкостью записывайте звонки по Skype или стримы с Вашей веб-камеры! Новые элементы управления захватом позволяют Вам приостановить видео, добавить эффекты или применить временные ограничения. Мгновенно получите редактируемый текст из изображений или PDF-файлов! Ashampoo Snap 8 конвертирует текст на изображениях в редактируемый текст. Визуализируйте сложные задачи, объединив несколько скриншотов в одно изображение! Привлекайте внимание к деталям с помощью стрелок, фигур и текста, избежав тем самым дополнительных пояснений! У меня Ashampoo Snap 7 (скачала отсюда, но не знаю срок???) - хорошая программа. Если скачаю Snap 8, то нужно ли прежде того деинстализировать семерку? И стоит ли заменять? Ashampoo Snap is worth having [& buying IMHO] unless game capture is what you're after. The latest version of Ashampoo Snap is 9. Two or 3 times recently in email offers from Ashampoo it's been around $12 upgrade price, which is the cheapest I've seen it -- mileage may vary -- expect those, & possibly cheaper offers to become more common as Snap 9 has been out for quite a while now, & they're likely readying a release of version 10. The big plus *for me*, & the reason I buy Snap, is it lets you use a video codec that you install in Windows -- by far most screen capture apps do not. Many use the slow, inefficient, & hard to set Windows Media format, & a few use proprietary codecs -- neither is best in class. That matters if you're planning on editing your captured video, if you want to capture 1080p etc. That said, Snap is not comparable to the better game recorders, which are designed to have minimum impact on game performance, & can include background removal when using a webcam for commentary. Snap does have added capabilities like editing, & a bunch of convenience features like OCR & the collapsing tool bar it puts at the top of your screen when it's running. Those aspects of the app are generally rated around 4 out of 5 in the reviews I've seen -- Snap does have some glitches & is not perfect. Ha ! Let's see if Ashampoo has got rid of that horrible, ugly purple user interface for this one... I stopped using Snap just because of that, in spite of the fact that functionnally, the program is not devoid of interest. I just wished it would not be so much in your face, as it is in the 2017 version I have. Message to developers : a screen capture program has to keep a low profile. Computer users don't capture screens : they do other worthwhile things, in the course of which, sometimes, they need to capture screens. Big difference. Be discrete, do enough but not too much. Take example on Windows 7 Snipping Tool, which is one of the best capture programs ever, precisely because it does almost nothing... and does it well. I do wish it would do that little much more, and that's the reason why I'm in the market for a screen capture tool. However, apart from Greenshot (free, open source) and to a lesser degree Pick Pick (free), I have yet to find something as good as Snipping Tool, with the added possibility to annotate the capture (and maybe to detect and capture automatically parts of a window, such as panels, toolbars and even open menus). And by the way, why are so many screen capture developers keen to make us send snips into the cloud, and share them ? What is happening on my screen is the last thing I want broadcast to the Internet, for everyone to see (or hack). This is private, for God's sake. Enough with that stupid cloud mania already. Ha ! Let's see if Ashampoo has got rid of that horrible, ugly purple user interface for this one... I stopped using Snap just because of that, in spite of the fact that functionnally, the program is not devoid of interest. I just wished it would not be so much in your face, as it is in the 2017 version I have. Message to developers : a screen capture program has to keep a low profile. Computer users don't capture screens : they do other worthwhile things, in the course of which, sometimes, they need to capture screens. Big difference. Be discrete, do enough but not too much. Take example on Windows 7 Snipping Tool, which is one of the best capture programs ever, precisely because it does almost nothing... and does it well. I do wish it would do that little much more, and that's the reason why I'm in the market for a screen capture tool. However, apart from Greenshot (free, open source) and to a lesser degree Pick Pick (free), I have yet to find something as good as Snipping Tool, with the added possibility to annotate the capture (and maybe to detect and capture automatically parts of a window, such as panels, toolbars and even open menus). And by the way, why are so many screen capture developers keen to make us send snips into the cloud, and share them ? What is happening on my screen is the last thing I want broadcast to the Internet, for everyone to see (or hack). This is private, for God's sake. Enough with that stupid cloud mania already. I've been using Ashampoo snap for a long time. This version has OCR which allows you to OCR text in an image that you capture onscreen. It's really easy to use and seems to work quite well. Dell T5500 Dual Hex-core Xeon, 36Gb Ram, nVidia Geforce GTX670 GPU, WIndows 10 Pro. Program downloaded, extracted and installed without problem. Registration worked as indicated. I've just started making You Tube videos and was using Free Screen Recorder which worked pretty well. Will be interesting to see how the functionality compares between the two. Snap 8 already has more features just looking at the interface. The editing feature has a well laid out screen and offers most of the basic functionality you would expect from an editor (which is a big advantage over FSR). I've tried a couple of captures and the first thign I've noticed is what Snap refers to as a 'Window' is actually any rectangular area, so trying to capture the window that has my email in it offers me the chance to capture individual rectangular boxes in Outlook rather than selecting the whole screen, which is incredibly annoying, you have to capture a region and select the whole screen, given that capturing segments is the job of selecting region capture this seems like a bug in the program. 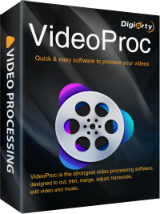 Video cpture works well and is very smooth. In summary, after a quick test of the features I'd have to say that for free this is well worth the download. Video capture will be largely dependent on your hardware so mileage may vary depending on your PC spec. Dell T5500 Dual Hex-core Xeon, 36Gb Ram, nVidia Geforce GTX670 GPU, WIndows 10 Pro. Program downloaded, extracted and installed without problem. Registration worked as indicated. I've just started making You Tube videos and was using Free Screen Recorder which worked pretty well. Will be interesting to see how the functionality compares between the two. Snap 8 already has more features just looking at the interface. The editing feature has a well laid out screen and offers most of the basic functionality you would expect from an editor (which is a big advantage over FSR). I've tried a couple of captures and the first thign I've noticed is what Snap refers to as a 'Window' is actually any rectangular area, so trying to capture the window that has my email in it offers me the chance to capture individual rectangular boxes in Outlook rather than selecting the whole screen, which is incredibly annoying, you have to capture a region and select the whole screen, given that capturing segments is the job of selecting region capture this seems like a bug in the program. Video cpture works well and is very smooth. In summary, after a quick test of the features I'd have to say that for free this is well worth the download. Video capture will be largely dependent on your hardware so mileage may vary depending on your PC spec.